Demodex are parasitic mites that cause a skin condition called demodicosis. These microscopic monsters can live in your dog’s hair follicles and oil glands. While all dogs have a small population of these little pests (disgusting, I know), those who are sick or have a compromised immune system can’t suppress the mites from spreading, and so an infestation can occur. This sometimes occurs in dogs without an obvious underlying problem. Demodicosis can be localized or generalized. 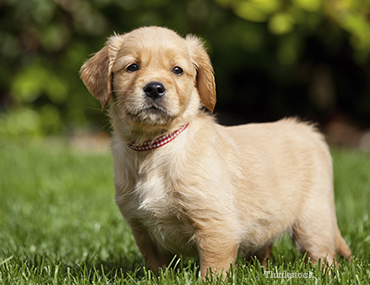 Localized demodicosis infections usually occur early in life, typically in puppies between 3 and 6 months of age. This form of of the disease is usually mild and responds well to treatment. Many cases resolve spontaneously with little or no treatment, though in some dogs it progresses to the generalized form. Generalized demodicosis can also occur in older dogs and is then often secondary to an underlying disease that is suppressing the dog's immune system. Generalized demodicosis is more difficult to treat and carries a more guarded prognosis. With localized demodicosis, symptoms are usually mild and affect a dog’s face, trunk, or legs. You will notice thinning hair, scaly skin, and the skin itself will appear reddish-brown and look very itchy. With generalized demodicosis, skin lesions are more widespread and may involve the entire body. Your dog may look scruffy and show signs of hair loss as well as discoloration of the skin. She may also be lethargic and have a poor appetite. In order to diagnose your dog with demodicosis, your veterinarian will take skin scrapings of the affected areas and may recommend other tests specific to your dog’s symptoms and the severity of the infestation. The treatment for demodicosis will vary depending on whether the infection is localized or generalized. Localized demodicosis often requires no treatment other than careful observation. As stated above, the good news is that, most often, localized infestations resolve themselves without treatment! Generalized demodicosis is treated with oral or topical medication depending on the individual case. In some situations, additional medications are prescribed, such as antibiotics if a secondary bacterial infection has occurred. Regularly scheduled recheck examinations and skin scrapings are needed to monitor response to therapy. Maintaining your pooch’s health is the best way to prevent her from contracting demodicosis. A healthy environment, good diet, and regular veterinary checkups will help your dog be in the best possible health! The good news about demodicosis is that it is NOT contagious to other dogs, cats, or humans!